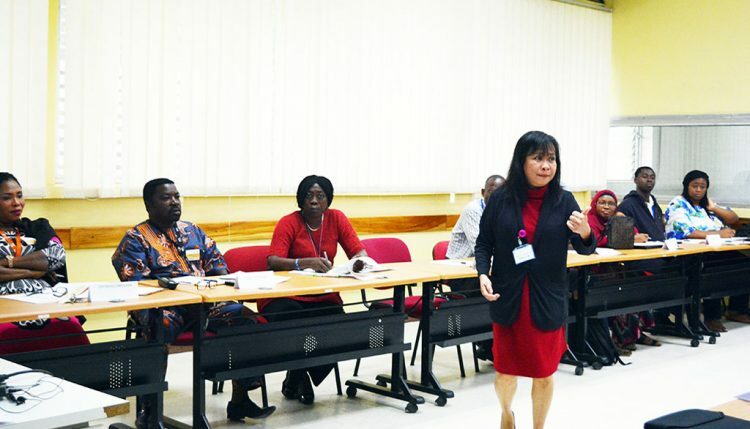 Managers and supervisors from the various IITA hubs and stations across Africa converged in Ibadan for a 3-day workshop, 26–29 September, to enhance their knowledge on leading and managing staff for effective results. The training, titled “Leading and managing people for results” was organized by the Human Resources team in collaboration with the Capacity Development Office with 23 staff member-participants. Lilian Mendoza introducing course to participants. In her opening remarks, the Deputy Director General, Corporate Services, Hilde Koper, advised participants to be as transparent as glass when dealing and working with staff and to create a good succession plan as managers and supervisors. “As a leader, do not assume that you have the answers to everything; accept correction because it gives room for improvement,” Koper said. 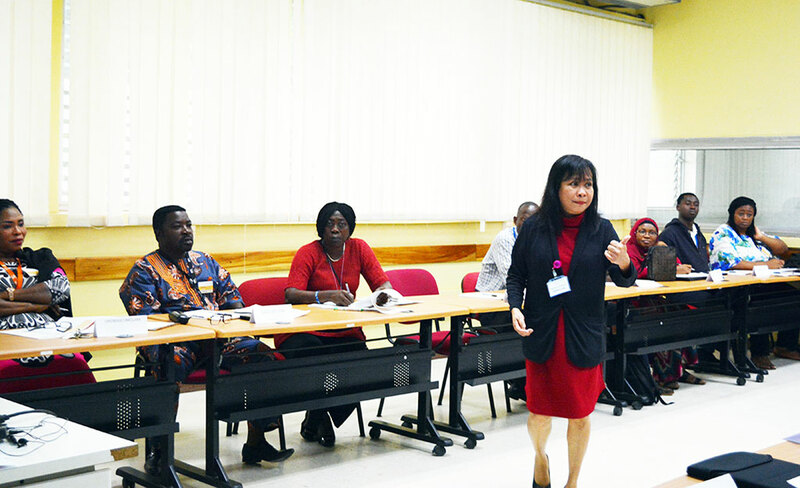 that affect you and your staff for discussion as this will ease any tension off.” She went on to introduce the course which cut across IITA HR policies, procedures, systems, values, mission, vision, and norms. The aim of the leadership and management workshop was to strengthen participants’ management and leadership to influence and motivate their staff to achieve exceptional performance. The training was very interactive and participants expressed their gratitude to the organizers. The participants were able to evaluate their leadership skills based on the new knowledge acquired. They said they understood better the quote “Trustworthy leadership is the most motivation an organization can offer its employees.” Certificates were issued to the participants at the end of the training.